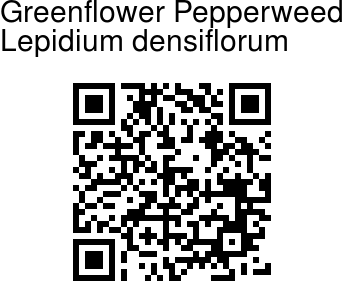 Greenflower Pepperweed is an annual or biennial herb producing a short, erect, branching stem up to about 30 cm tall. Leaves grow in a basal rosette at the base of the stem and reach up to about 10 cm long. Leaves higher up on the stem are smaller and less prominently lobed. The plant produces long narrow racemes of tiny flowers with sepals each only about a millimeter long. There are usually no petals, though sometimes vestigial petals appear near the sepals. The fruit is a few millimeters long. 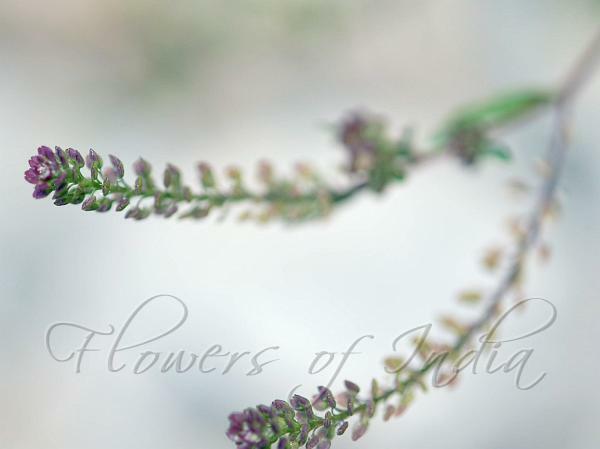 Greenflower Pepperweed is native to North America, widely naturallized all over the world. Identification credit: Saroj Kasaju Photographed enroute to Khardung-La, Ladakh.